Pop / jet / thumper bumper skirt / wafer. White. Fits most all makes/models. 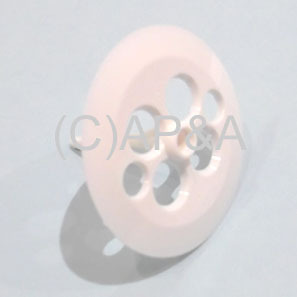 Also replaces Bally C-790-1, C-790-15, Bally/Midway #s 0017-00042-0121, 0017-00042-0444, Briarwood/Brunswick # 55-101013-000, Gottlieb # C-10433-WHITE, Data East, Sega, & new Stern # 545-5607-00 & 545-5098-00, Williams # 3A-6035, Wico # 19021400, and 10433Z.